Please try another search on the left, or check out the amazing venues we have in your county below. 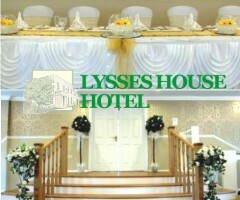 Once a private residence built at the height of the Georgian era, Lysses House is now a small independent hotel in Fareham offering excellent facilities for wonderful weddings. 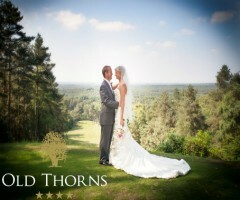 This wedding venue prides itself on high standards, friendly, personal service, fine food and exceeding expectations. Set in 400 acres of picturesque countryside, Old Thorns is a historical wedding venue and hotel with a modern, contemporary edge. It is one of the top 10 wedding venues in the UK and would be delighted to host your upcoming wedding day or evening reception. 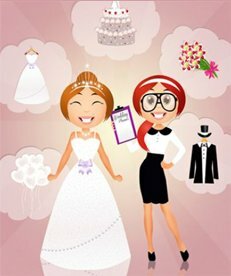 Looking for a wedding venue in Hampshire? 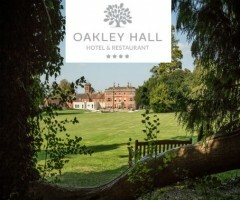 Why not consider Oakley Hall, a modern country house retreat, located in Oakley, Basingstoke. Whether you're planning a a small and intimate ceremony for close friends and family or need space for up to 140 guests, Oakley Hall Hotel provides the choice of six elegant rooms that are licensed to hold civil ceremonies and partnerships. For larger weddings, their permanent marquee can hold up to 300 guests for a wedding breakfast or reception.